"Los trajes de la Venus"
This project refers to a Video Mapping Live Performance we made during a Halloween event for a local Art Lounge called El Steinvorth at Costa Rica. 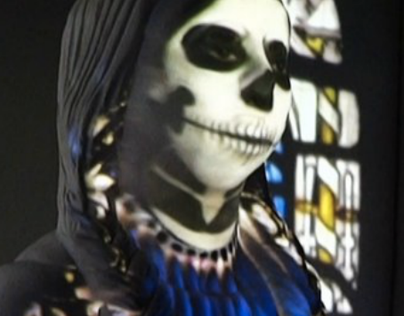 The project required to map a modern sculpture of Venus and change it's aspect through the projection mapping technique. Based in the fact that there was going to be music during the event and people were going to wear costumes, we decided to apply live mix mapping so we could sync our performance to the music and also apply different "costumes" to the sculpture in order to fit with the idea of the event. The project allowed us to confirm how versatile is the technique and it provided us feedback about details we can improve for future performances.